Dolby is a name that will probably ring a bell with most of you. if it doesn’t then maybe Dolby Surround will sound more familiar? Dolby Laboratories is the company that creates audio technologies so you can enjoy surround sound when you buy a DVD, Blu-Ray or go to the movies. Since a couple of years, Dolby Labs created a new sound technology called Dolby Atmos. Its purpose is to enjoy sound in a new way, where sound comes from all directions, including above you! 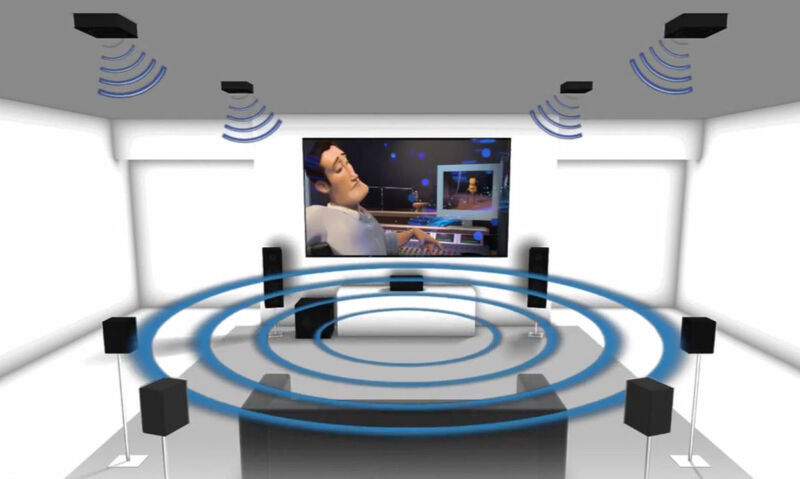 Surround sound is created by making separate audio channels and sending sound to specific channels. For example: in a movie a car is driving by from left to right. With Dolby surround, the audio from the car is sent to the left speaker, then the center one to finally be sent to the right speaker. This creates the audio effect that the car is driving by. Sound technology 101 right? Since 2012, Dolby changed its approach to surround sound and instead of having 5 or 7 channels (your average 5.1 or 7.1 surround sound), it no longer sees audio in different channels but as a sound object. I’ll spare you the technical details but suffice to say that through this new technology, you can have a much more immersive movie experience where sound literally comes from everywhere, even above you! They called this new tech Dolby Atmos (Atmosphere). This new technology was first launched in movie theatres with the Pixar animated movie Brave. Since then, several movie theatres around the world adopted Dolby Atmos and started making changes to their audio systems, they started putting additional speakers in the ceilings in order to be Dolby Atmos compliant. Now, almost 3 years later, the technology is ready to be used in your home! 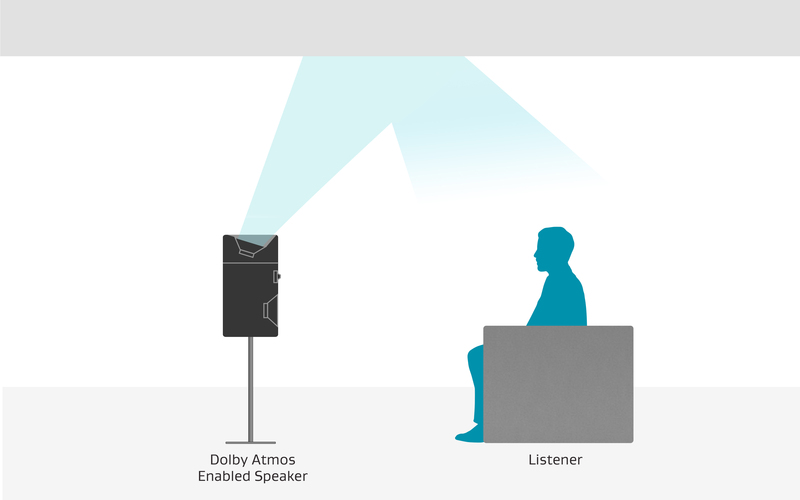 The only things you will need in order to enjoy Dolby Atmos at home – and a very unique and satisfying sound – is a Dolby Atmos capable receiver (Onkyo and Yamaha for example have good ones) and of course a change in your speaker setup. You have 2 options: either you place new speakers in your ceiling, which could be a costly affair and is not always feasible, or you can get yourself a pair of fancy Dolby Atmos speakers, which you just put where you would normally put your speakers: on the ground, against the wall, on your TV furniture, … These Atmos speakers send the special Atmos sound objects upwards, towards your ceiling, where it bounces back to where you are sitting at. While the technology has only just surfaced, and it will probably take a couple of years before it is widespread in our homes, it promises to change the way you listen to movies forever. This might very well be what High Definition was to Standard Definition years ago. Several Blu-Rays which have an Atmos soundtrack are already available, like Brave and the latest instalment in the Transformers franchise. If you ever walk into a shop where there is an Atmos setup on display, please check it out and let yourself be surrounded by an atmosphere of sound! Please feel free to leave feedback or a comment! ← Building your own HTPC – part 2: Software.